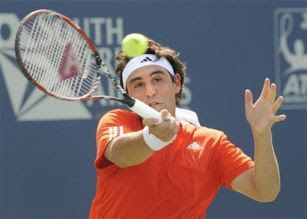 Marcos Baghdatis and Taylor Dent, ranked outside the top 100, have been given wild cards into the PROTON Malaysian Open main draw. According to the tournament director, Nick Freyer, the third and final wild card will be decided in the next few days. If this article published in the Malay Mail is true, the wild card could go to Malaysian player, Si Yew Ming. However, based information that I've gathered at press conferences, Yew Ming would probably get a wild card to play in the qualifying rounds, which I think is fair and fine. There's also a considerable buzz on the Internet that a particular player has accepted the third wild card, but I won't mention his name here. I'll just leave it to the tournament director to announce it later this week. 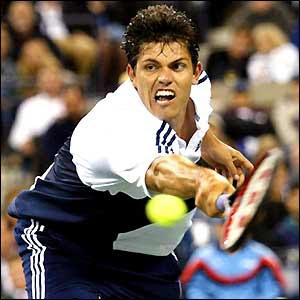 The tournament will kick off this weekend from Sept 26 to Oct 4 and will see a strong line-up of marquee players including Nikolay Davydenko, Fernando Verdasco, Lleyton Hewitt, Robin Soderling, Fernando Gonzalez, Gael Monfils, Tomas Berdych, and David Ferrer.